The members of our team have spent more time together in these past three weeks than many of us would care to admit. After five exercises together, everyone is feeling pretty relaxed around each other. In the beginning, the chat was all work and little laughter. We were all mission focused; doing our part for improving the nation’s homeland defense forces. The Commanding General that year made a great closing speech about how important our work was and that the nation appreciated our efforts. It was a great feeling to say the least. As the exercises continued year after year, relationships developed and grew. Everyone started to feel comfortable around each other; understanding each others relationship to one another. This year, we had a well oiled machine that ran seamlessly and enjoyed each others company. Collectively, our role has been to provide the training audience with realistic scenarios and role players to replicate the circumstances that they would encounter in the execution of their missions. Last night, after a particularly challenging day of last minute changes, one team member said “This doesn’t have to make sense, we just have to be able to say it with a straight face.” It described what has been going on so well these past three weeks. This design was incorporated into our mid-day briefing and was sent to a number of people in our Emergency Operations Center for future use. We all had a few laughs and pushed through the rest of the day. NIce job Erin! Everyone says thanks. 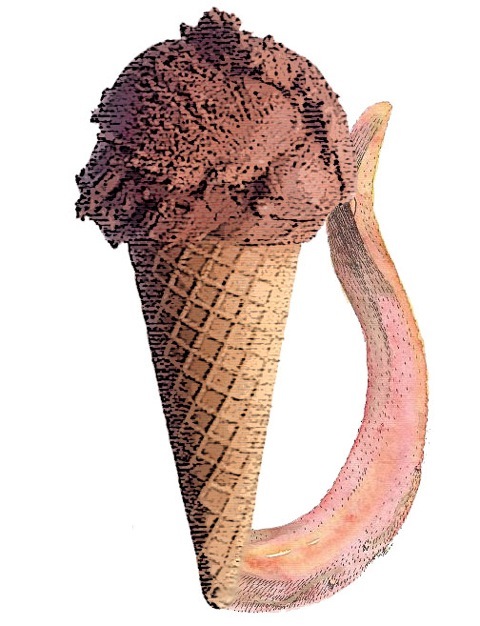 This entry was posted in Creative Writing, First Alarm and tagged self licking ice cream cone by Bill Stipp. Bookmark the permalink. I would like to use the image in a presentation I am giving at the IBM Continuous Engineering for the Internet of Things conference on November 3rd in Chantilly, VA. Can I get permission to use it in my presentation? I will have the copyright and include the link “https://williamstipp.com/tag/self-licking-ice-cream-cone/” on the slide.